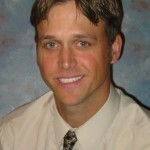 Gustavus men's golf coach Scott Moe directed the U.S. 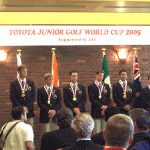 Junior National Team to its second consecutive Toyota World Junior Cup title in Toyota City, Japan. The U.S. team claimed first place by 12 shots over second place Colombia. The Americans posted a 72-hole total of 824 which was 40 shots under par. Gustavus men's golf coach Scott Moe is in Toyota City, Japan coaching the U.S. Junior Boys' National Team at the Toyota World Junior Cup. The tournament begins Tuesday and runs through Friday. Follow Scott's experiences through his journal on this page. The results from the first day of the section 2AA track meet can be seen by clicking here.